Q: Can I purchase today for a later/specific delivery date? A: Yes. In the checkout section, you will be asked to specify a "Desired Delivery Date". Our system will calculate the most inexpensive shipping method and our production studio will make sure that the order arrives at its destination on the exact date. A: Our system is very sensitive to credit card information. Please make sure the information you provide under “Billing Information” is exactly as it appears on your credit card statement. Q: Can I buy the flowers only? A: No. Blooms by Heinau only sells fully designed and assembled arrangements. Q: Which arrangements are guaranteed for at least 12 months? A: All Blooms By Heinau arrangements are guaranteed to last a minimum of 12 months. Q: Do you sell other types of flowers than roses and hydrangeas? A: No. We only sell rose and hydrangea arrangements. The preservation process can only be handled by certain types of flowers. 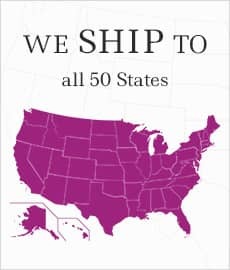 A: To get the shipping time and rates, you need to add the arrangement you are looking to purchase to your cart and enter shipping zip code and state. Then once you choose your "Desired Delivery Date" from the calendar, you will be given all available shipping options. 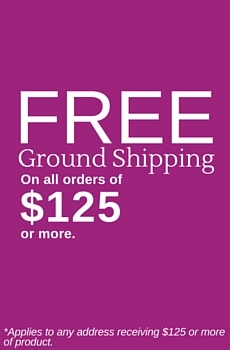 Hint: choose the most inexpensive, including when we offer free ground shipping on all orders of $125.00 or more. Q: Once I place my order how long is the lead time? A: When you enter "Desired Delivery Date" the shipping options for that particular date will include the time we require to produce your made to order arrangement. (including weekends and holidays). So you have nothing to worry about. Q: Does it come with care instructions? A: Yes. All our arrangements come with care and unpacking instructions. The card is always sitting on top of the arrangement and is the first thing people will see when opening the box. Q: Can I send you a vase I have? The packing process is very complex and not all vases, once filled with flowers, can be properly packed and shipped. You can send us a picture by email to sales@bloomsbyheinau.com with the inner dimensions, and we will be glad to evaluate the vase. Q: Can you mix red and white roses? 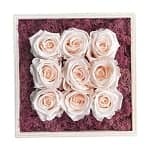 A: We can not mix any dark colored roses with white due to the fact that the roses absorb moisture from the air and the darker color will ”bleed” on to the light roses. Q: I have a special custom request for a flower arrangement. Can you do it? A: We can produce custom arrangements, but only if they are to be delivered in the greater Miami area. 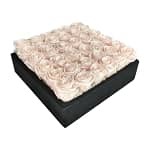 The arrangements we have on our site can be shipped across the country. Q: The FedEx site shows the package was delivered, but the recipient said they did not receive it. A: Please contact our Customer Service at 786-594-0437. Q:Is a signature required to receive the package? A: No. We don’t offer that option. It’s a regular FedEx delivery.